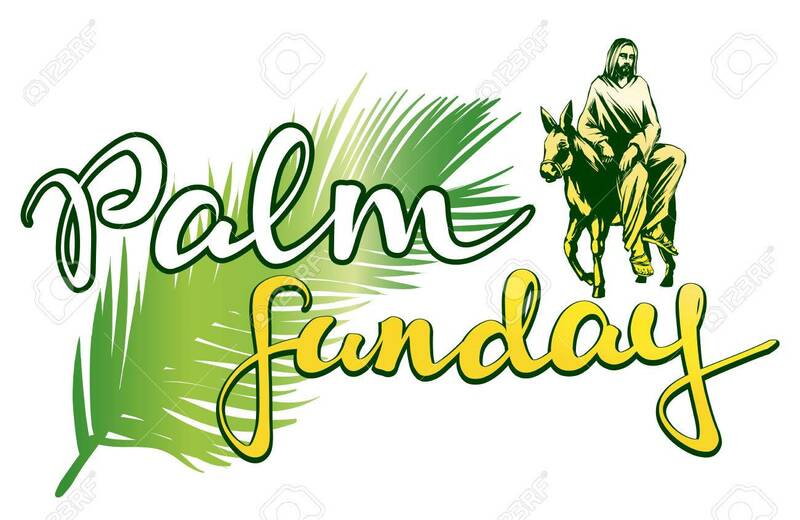 Today is Palm Sunday. It’s the day we remember and celebrate when JESUS entered Jerusalem as our Savior and our King. JESUS rides in on a donkey and a large crowd gathered and laid palm branches and their cloaks across the road, giving JESUS royal treatment. They shouted “Hosanna to the Son of David! Blessed is he who comes in the name of the Lord! Hosanna in the highest!” When the people shouted “Hosanna!” they were using it to express adoration, praise, or joy. This day has a lot of significance for our lives today. It’s a very important day because that’s when JESUS started HIS journey that ended with HIM on the Cross. Lots happened in this week leading up to HIS death burial and resurrection. The palm branch represented goodness and victory and was a symbol of the victory HE would have over death. HE knew it wouldn’t be long before some these same people that praised HIM would turn their backs on HIM and want HIM crucified. Palm Sunday reminds us what is going to happen this week. JESUS rides into town being praised. Then when HE gets there HE finds people in the temple selling and buying. So HE throws them out and turns their tables over and tells them that the temple is HIS house of Prayer. Then HE tells HIS disciples everything that’s going to happen. Man was looking for someone to fight their battles in that present day world. GOD had the ultimate plan of sending HIS SON to fight the final battle over death. This is the greatness of why we celebrate this week. Because of this ultimate sacrifice, we can be set free of death. Free from sin. To be free from everything the enemy throws at us. To be able to claim the Victory over everything. Then at the end of the week HE took what is the last supper, also known as the LORD’S supper. They partook in what is known as communion. Then they went to the garden of Gethsemane where JESUS prayed. JESUS knew what HE was gonna go through. 39 Again He went away and prayed, and spoke the same words. 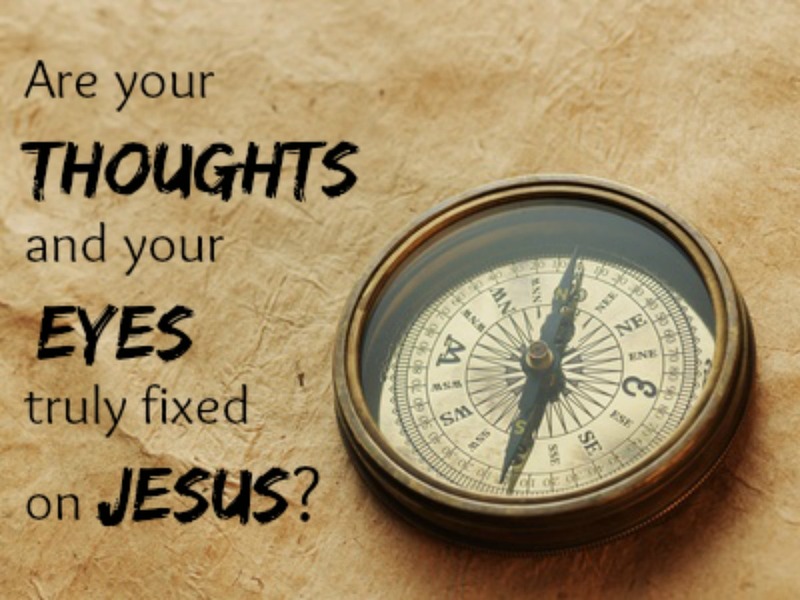 Let JESUS direct our thoughts and attention to HIM every second of our lives because HE is what matters most. Let’s always focus on worshiping the KING of kings and the LORD of lords, thanking HIM for HIS sacrifice, celebrating the power of the Resurrection, and the new and exciting life found in HIM alone. HIS NAME IS JESUS. Philippians 4:4-94 Rejoice in the Lord always: and again I say, Rejoice. Our thoughts are very powerful. Proverbs 23:7 tells us that what we think in our hearts, that’s what we are. We control our thought life. Sometimes maybe not listening to certain things or watching certain things will help. With all that’s going on in the world, we need to protect our mind and our hearts. When things happen in our lives, call on the Name of JESUS. Scream it if you want to. Get to talking to HIM ASAP. The peace HE gives us hits us deep in our hearts and souls. We know that HE is with us and holds us & comforts us. HE helps us control our mind & hearts. Things that are true (JOHN 14:6). The Bible is the Truth – JESUS is the Truth. The Bible is full of good reports. People were healed from every sickness and disease. Remember the woman with the issue of blood for 12 years. She spent all she had on doctors. She had enough and tried the report of the LORD because she heard HE was around and HE heals. People were blessed with things. There was a way for people to be saved and be in Heaven for eternity. In John 15 JESUS talks about having a strong relationship with HIM and in verse 11, HE says – “These things have I spoken unto you, that MY JOY might remain in you, and that your joy might be full”. Psalm 16:11 says when we are in HIS presence it is fullness of JOY. Acts 8 talks about the miracles of GOD in Samaria people being delivered & healed and there was Great JOY in the city. Romans 14:17 “For the Kingdom of GOD is not meat & drink; but righteousness, and peace, and (Watch this) JOY in the Holy Ghost. 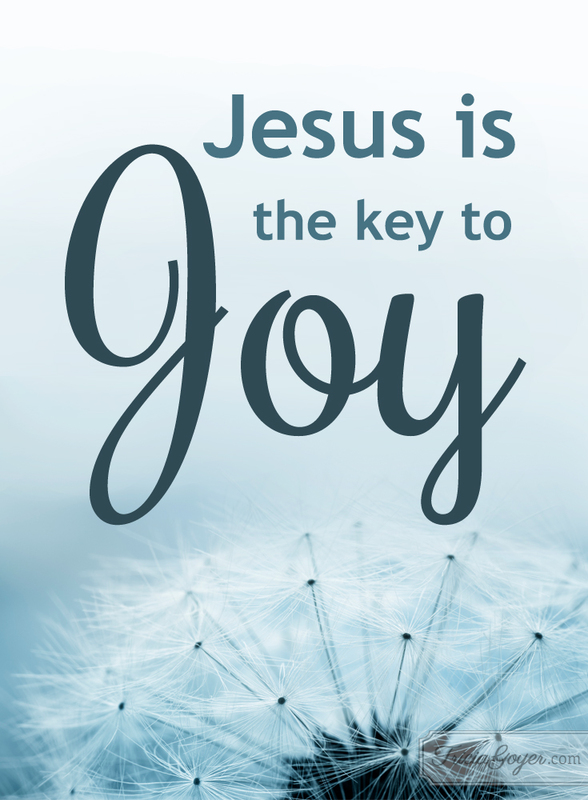 Joy is based on a relationship with JESUS CHRIST. Paul learned to rejoice in HIS relationship with JESUS. His joy was deep in his heart. Put it deep in your heart so when troubles come you automatically know HE is right there with you. He will stick closer than a brother. There is very little I can do in my life that will give me True Joy. I depend on GOD to give me True Joy. Jesus will never let you down. I wanna talk about how much I need JESUS. I need HIM every second of my life. I need HIS direction in all I do. I need HIS GRACE. HIS Mercy. HIS LOVE. HIS peace. HIS comfort. HE is always there for us and will answer our prayers. JESUS needs to be first in everything we say and do and think. HE loves us more than we can understand. HE wants us to be with HIM forever. People have said to me that I use JESUS as a crutch. 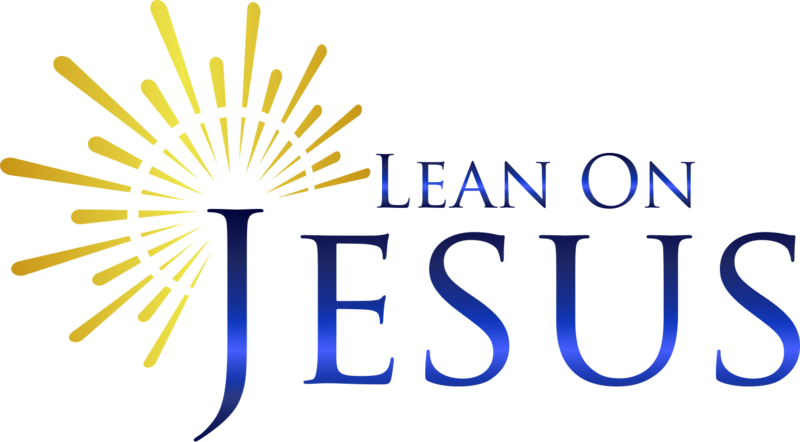 I do lean and depend on JESUS for everything. I used to lean on the enemy and I always ended up doing the wrong thing. Now I lean on JESUS and great things have happened in my life. I’m excited about JESUS in me. I’m excited about going to heaven. I’m excited about learning more about HIM and what HIS Word is saying to us. HE didn’t say: Lift up a church or a denomination or an organization or a religion or traditions. HE said Lift HIM up. Talk about HIM, witness about HIM, preach and teach about HIM. Let HIM live in our testimony. Let HIM live in our singing. Remember that the church is a hospital for the hurting not a museum. The more you grow in your relationship with JESUS, you’ll get a better understanding of all HE has for you. I wanna be super close with JESUS. If you don’t feel close to GOD right now, guess who moved? JESUS doesn’t move. Grab a strong hold of HIM and don’t let go. EVER! We need to encourage people to build a strong relationship with HIM so they can get the Hope there is in HIM. The Love there is. I encourage everyone today to know JESUS. HE’S the best friend you’ll ever have. HE will be there with you at the mention of HIS Name. HE is always there. It’s not religion or traditions that saves the lost, heals the sick, and sets the captives free. It’s the living Saviour, JESUS is our Saviour, HE is our healer, HE is our deliverer. HE is the lover of our souls. HE is our everything. We must never lose sight of JESUS. Always tell people about HIM. Never substitute anything for JESUS, because there’s nothing that can take HIS place in our lives. No matter how intense the battle, no matter how weary the warrior, no matter how overwhelming the odds – do not retreat. With the Word of GOD in your hands, with your brothers and sisters by your side, with the LORD fighting for you, it won’t be you who retreats, your enemy is going down. 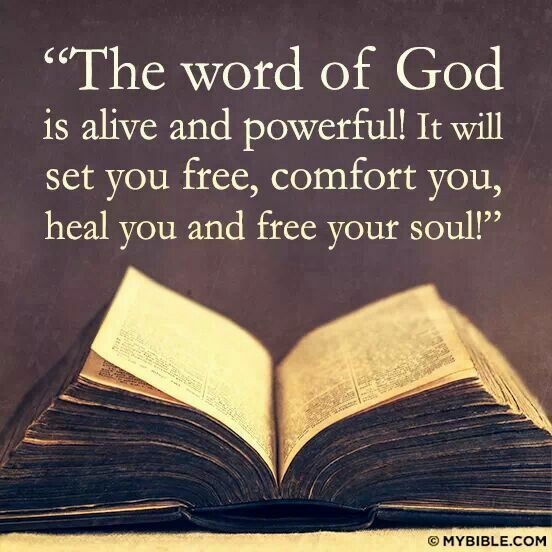 The WORD of GOD is the greatest Book ever written. It is the greatest love story ever written. I wonder why our kids can’t read the Bible in school but they can read it in prison. They have a Bible people swear on in court to tell the whole truth but they can’t display the 10 commandments like they used to. The Bible isn’t a hard Book to follow. You need to repent of your sins and turn away from them. Not just say sorry. We need to stop doing what we know is wrong. We need to stay on the narrow path to Heaven. The road to hell is paved with good intentions. The road to Heaven is paved with obedience. Then you need to get Baptized in the Name of JESUS. The word name here is singular which means the name to be Baptized in is the name of JESUS. The name of the Father is JESUS. The name of the Son is JESUS. The name of the Holy Ghost is JESUS. Everyone that was Baptized in the Book of Acts was Baptized in the name of our LORD JESUS. If you need to be Baptized, you need to be Baptized in the name of JESUS. You shall receive the gift of the HOLY GHOST. It’s a free gift. It’s yours if you want it. As you receive the gift of the HOLY GHOST you will speak in tongues. Speaking out loud is the key here. JESUS wants to take control of your tongue because it is the most unruly thing we got. We need to speak to the LORD and HE will take over and you will speak in another language. It’s for today. Whatever happened in the Bible back then is for us today. All of it. You gotta believe all of it. Philip asks to see the Father and JESUS tells him that we been together how long? You’ve seen all the miracles that I did. You’ve seen me forgive people from their sins. If you’ve seen me, you’ve seen the Father. JESUS means that I AM THE FATHER. See, it’s very simple. Either you’re for JESUS or you’re against HIM. If you’re against JESUS that means you’re either for yourself or for the enemy. Either way you’re gonna lose. I chose to be with JESUS. I wanna gather with JESUS, meaning spending time with HIM. People who don’t hang with JESUS scatters all over the place meaning they will fall for anything the devil throws at them. We need to understand that if we look to the devil we will be oppressed. If we look to ourselves we will be depressed. If we look to GOD we will be BLESSED. 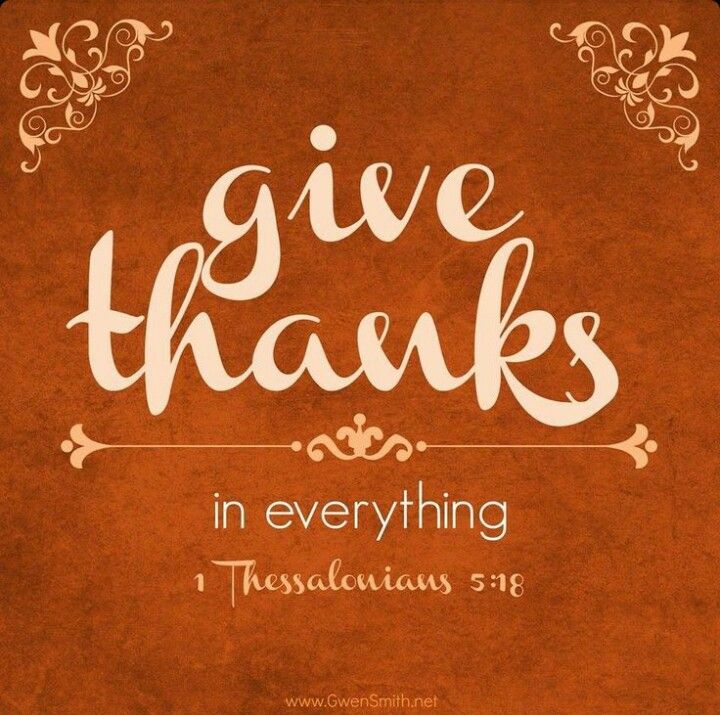 We should stay thankful about what the LORD has done in our lives. Yes, we have ups and downs and we have real tragedies but when you think about what JESUS did, we really can be thankful. A lot of people have experienced the peace and comfort that can only come from GOD. The things that happen in our lives are very real. We don’t want them but we know that when we focus on JESUS, things turn around in our lives. If you’re a born again believer, we should be giving thanks to JESUS for what he did on the cross which made a way for us to live forever with HIM. The most important thing that I’m thankful for is that I repent of my sins and HE forgives me. Then I’m thankful that I got Baptized in JESUS name. I’m very thankful that I got the Holy Ghost. Very thankful for having all of the power that JESUS has living inside me. We really need to tell people about what JESUS did in our lives as much as we can. “34 O give thanks unto the Lord; for he is good; for his mercy endureth for ever. Too many people lost sight of what’s important in life. They lost sight of the reason for the season. It’s all about JESUS and the season lasts from the beginning of time til the end of it as we know it. We should celebrate JESUS every day of our lives. JESUS is concerned about you. HE wants us to thank HIM in everything. The good, the bad, and the ugly. JESUS is everything that we’ll ever need to get through anything we go through. Whether we put ourselves in bad situations or the enemy keeps tempting us and we take the bait. JESUS is our strong tower. Let’s run to HIM and stay with HIM.